The HCG diet plan was created after years of obesity research in the 1950’s and 60’s by Dr. ATW Simeons. During his research, he tested the thyroid gland, the pituitary, the pancreas, and over 100 other physiological functions. He couldn’t find any direct, consistent link between these functions and obesity until his research discovered the role of the hypothalamus and HCG’s ability to stimulate it and increase metabolism. His research found that HCG could help reset the hypothalamus and therefore return it to a normal, higher metabolism. Nearly 100% of his research patients lost around 1lb per day without losing muscle or structural fat (needed for skin and organs).You can now experience the highly effective HCG diet for yourself – lose the weight and keep it off once and for all! Christine Farrell offers a medically guided, comprehensive weight loss plan using the HCG diet program. Your initial visit will include a thorough history, weight including body fat measurements, written guidlines (including tips for increased weight loss), and your HCG. HCG is offered sublingually (under the tongue) or in injection form and after discussion, you will know which is right for you. Follow-up visits include Vitamin B12 injections (if desired), continued body fat monitoring, counseling and medical monitoring. Each program lasts for approximately 6 weeks and the diet can be repeated until the desired weight loss is achieved. Typical weight loss for the 1st session is 25-30 lbs in 40 days. The guidelines for maintenance will be given after the completion of the HCG portion and patients do not gain their weight back even on a normal, healthy diet. 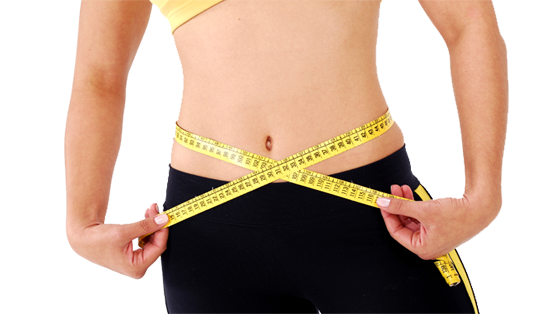 We offer REAL HCG which can only be prescribed by a medical provider. Is the HCG diet good for men? The hCG used for the hCG weight loss protocol is actually already found in men. In fact, it is present in every human tissue, including males and non-pregnant women as well as pregnant. Will my metabolism slow down if I am on a low calorie diet? It is true that normally when cutting back on calories and fat, our bodies can store fat and our metabolism can slow down. This happens because fat is really a life-saving source of stored energy. As theorized, when a low calorie diet is used in conjunction with the prescribed HCG Diet Direct Weight loss plan, it is suggested to the body to use stored fat for energy, and eliminate excess fat reserves. It is a natural process, so there should be no ill effects on your metabolism. The plan is formulated to keep the body from going into starvation mode and holding onto fat as it resets your metabolism. Are there any side effects with using HCG? There are no side effects associated with HCG. Very few experience slight headaches or dizziness the first few days but this is extremely rare and mild. This diet has been used for weight loss for 50+ yrs, so there is plenty of evidence to back up its safety.